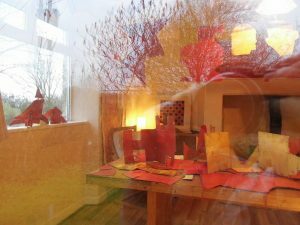 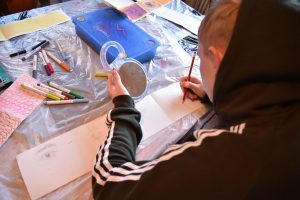 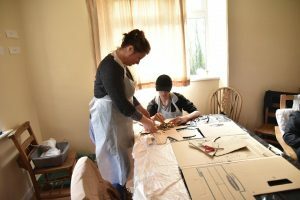 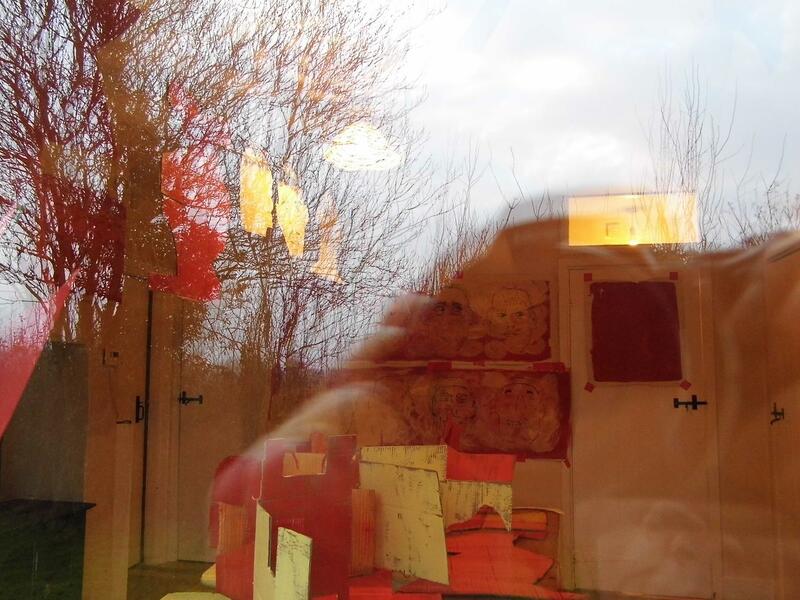 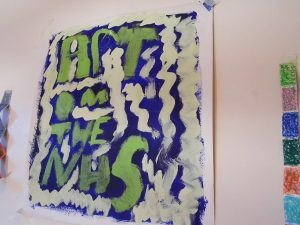 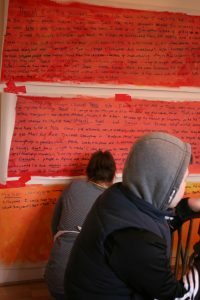 As an Associate Educator at Fermynwoods Contemporary Art, I devised and delivered the following workshops for students who visit us on our Alternative Provision programme. 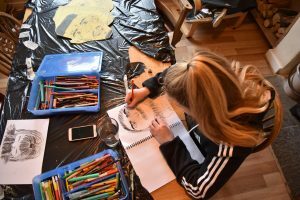 All students have been excluded from school and attend the Complementary Education Academy. 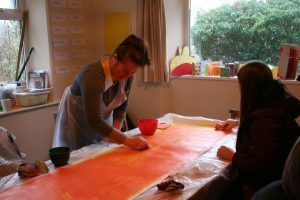 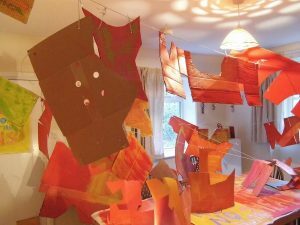 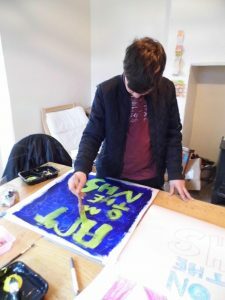 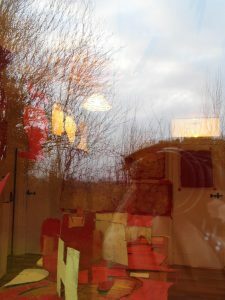 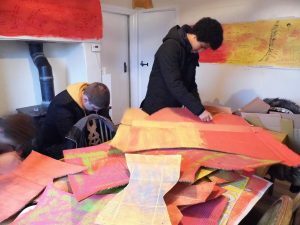 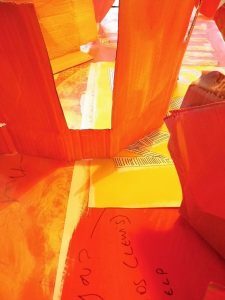 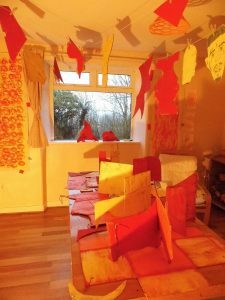 Working as a team, the students used cardboard, household paint, wallpaper, mixed media, large and small scale work, group pieces and individual, live written conversations and protest posters to create an installation. 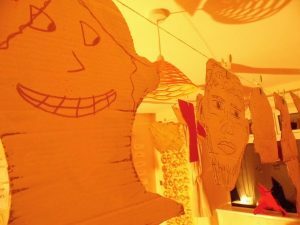 After the installation was set up by the students, they then tested a variety of lighting effects to create an atmospheric installation. 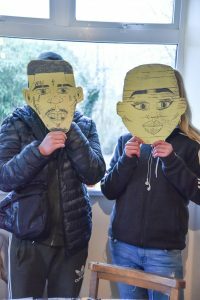 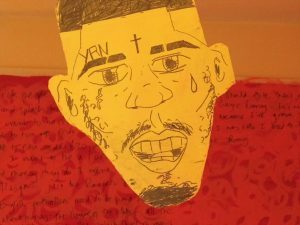 The theme focused on exploring the self and the self within society, through drawing self portraits, using mark-making as a way of expressing emotion, creating characters based on friends and cultural references and investigating their opinions on issues affecting society today. 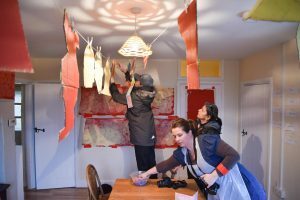 Working as a team, the students used cardboard, household paint, wallpaper, mixed media, large and small scale work, group pieces and individual, live written conversations and protest posters to create an installation. 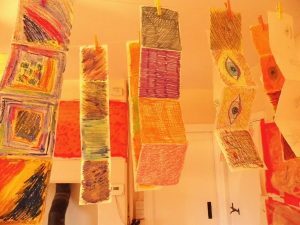 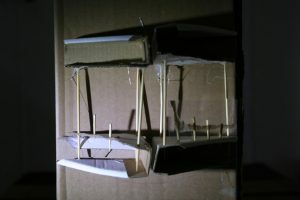 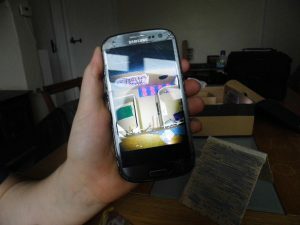 We explored the theme of dwellings, building our own imaginary buildings from cardboard, found and DIY materials. 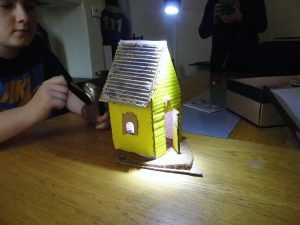 We experimented with lighting to create atmospheric photographs. 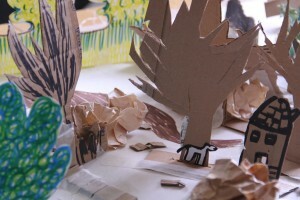 The students made an imaginary tableaux of a forest, using found cardboard, wallpaper and mixed media.